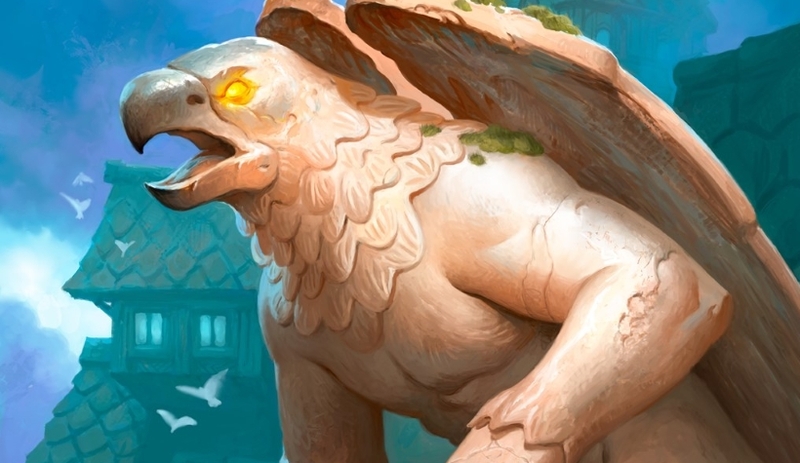 Our Dragon Paladin deck list guide features the best Rise of Shadows deck list for Season 61 of Hearthstone (April 2019). Our Dragon Paladin guide also contains Mulligan advice, card combos and strategy tips. Dragon Paladin is a Hearthstone deck that has been floating around in the minds of players since 2016 when Blizzard added a range of powerful Dragon cards to the class and wider collection. And while it never asserted itself greatly within the meta, it could be set to return with Rise of Shadows. In the new expansion, cards such as Bronze Herald and Dragon Speaker certainly suggest that Blizzard is trying to push Paladin towards more fire-breathing monstrosities. Because of that, players have already begun experimenting with how a Dragon Paladin deck might look over the next few months. In the latest version of this guide, we’re going to take a look at one of those early theorycrafted decks see how it might fare in the early Rise of Shadows meta. Only time will tell whether it’s a scorching-hot idea or leaves us burning with regret. Whatever the case, we’ll be on hand to update this page as the list evolves over time and provide you with more specific strategy advice. Everything below this point refers to a previous version of Dragon Paladin. We'll have a full update for you once launch week is behind us! This is the version of Dragon Paladin suggested by Trump in the run-up to the release of Rise of Shadows. We wanted to include it here so you have something to play with on launch day, though be cautious of committing too much dust to it should a better and more refined version emerge in the next few days. As with many other Hearthstone decks that are built around minion synergy, Dragon Paladin exists on that very same principle. It is designed to make full use of all the cards within and outside the class that provide bonus effects for using or holding Dragon creatures. Thanks to these empowered cards you can then gain considerable value over your opponent and take charge of the match. Early game: Dragon Paladin has a fairly straightforward plan in the early game of playing minions out on curve and contesting for the board. As many of these opening drops gain added effects if you’re holding a Dragon in hand, try to keep hold of one in your Mulligan so you aren’t forced to wait or play something in a weaker state. If you’re stuck, Bronze Herald is a useful way to get Dragons into your hand, or you can damage Acolyte of Pain to try and draw some from your deck. Mid game: As you enter the mid game your strategy remains much the same as before: contest for the board with minions and continue to draw cards. You have some extra ways to do so as you creep up the mana curve, though, such as Consecration or Shrink Ray to clear wide boards and Truesilver Champion to take out single minions. If you’ve been drawing well and have a relatively full hand, Dragon Speaker is a perfect play to buff all the Dragons in your hand considerably. The latter offers an especially great set up to take you into the lead in the late game. Late game: If you did manage to get that buff off with Dragon Speaker onto some of your strongest Dragon minions, then start slamming them down as you enter the late game. A card like Crowd Roaster has a significant drawback at just 4 Health for such a powerful effect, but a lot of that is negated with Dragon Speaker’s buff. Elsewhere, you also have the unflappable Tirion Fordring as a powerful late game drop that can cause nightmares for your opponent to deal with effectively. The newly added Archivist Elysiana is an interesting late game choice too, as it can fill your deck with multiple copies of powerful cards to see out the game. Here are a number of tips for dealing with aggro opponents on the ladder. 1. You have some perfect spells for dealing with aggro decks that have gone wide on the board, including Consecration and Shrink Ray. 2. You can also set up some substantial Taunt creatures that can stall aggro, so look for Proud Defender and Cathedral Gargoyle as early as possible. 3. Don’t be too afraid of losing a few points of Health at the start of the game to aggro, as you have a nice chunk of healing in the deck to restore your Health. 4. With the low Attack minions in many aggro decks, you should be able to get some considerable card draw from Acolyte of Pain. 1. Shrink Ray is the closest you get to hard removal in this deck, so save it for the biggest threats your opponent can play. 2. Try not to put all of your resources into one minion or a single play. Your fully buffed Dragon can easily die to a single removal effect – and control decks tend to run lots of them! 3. Similarly, try to bait out cards such as Hex or Polymorph before playing Tirion Fordring. A lot of his power is in the Deathrattle, and losing that means he’s often wasted. 4. Nozari is an interesting way to reset the game should your opponent have a strong Health lead. Just be aware that any Armor they’ve generated will still remain. Once the new expansion is under way, we'll have more detailed Mulligan advice for playing this new version of Dragon Paladin. Here are the most important synergies and combos you need to keep at the back of your mind when you're playing Dragon Paladin. Do let us know your own tips in the comments section! - If you have a Dragon in your hand at the time you play it, Cathedral Gargoyle will gain both Taunt and Divine Shield. Think carefully before playing one of your other Dragons before this card and potentially losing this powerful bonus. - Firetree Witchdoctor is another card that requires you to have a Dragon in hand if you want to achieve the minion's bonus effect. If you are holding one, the Witchdoctor will let you discover a spell. - Proud Defender is the perfect card to drop onto an empty board as it’ll gain a bonus two Attack if it’s the only minion you have in play. Take full advantage of this to force your opponent to make difficult trades. - It may seem crazy to lose all but one of your Health to play High Priest Thekal, but with all the healing in this deck you can steadily claw it back while also having a thick layer of Armor that your opponent needs to smash through. - Dragonmaw Scorcher isn’t just a great way to damage a wide board, but if you have Acolyte of Pain out at the same time you can sneak out an extra card draw from the sadistic minion. - To get a reasonable amount of value, you’ll want to play Dragon Speaker when you have at least two other Dragon minions in your hand. Anything less and the effect is somewhat wasted. Anything more and you should be feeling pretty good! - When you play Archivist Elysiana, you’ll choose five cards and two copies of each of those cards will replace your deck. It’s an excellent way to hone in on some specific cards for your win condition or give you some breathing room if you think the game might be going to Fatigue. Any replacement for Laying on of hands? I'm still missing that. Played a decent chunk of this deck today (minus alexstraza, still haven't got her!) and it worked really well. The only criticism I have is that it's possible to get a really awful draw. The only times I lost were games where I had high cost cards choking my hand throughout the early game. Only happened disastrously in 2 of my 20 or so games though, so not too bad. Wow I did not realise that at all! Thanks Calthiss I'll update. The dragon consort's ability is a battlecry. Even if he dies immediately, his effect will be permanent until you cast your next dragon.